This year has been one of unforgettable moments - some of them a series of unfortunate events. However, the year has also been one of inspiration and full of success stories. It began with hundreds and thousands of women marching peacefully in Washington, D.C. to advocate for fair and equitable legislation. Activists shed light on police brutality and social justice issues affecting communities of color, with athletes taking a stance across the country. A country divided on race and politics helped spark a wave of African-Americans running for office. 2017 will be remembered as a celebration of black excellence in the face of inequality and injustice that was proudly put on display for all to see. Here are some moments of black excellence that took place this year. "Moonlight", the coming of age story about Chiron, a young black boy growing up in Liberty City, Miami, beating out "La La Land" for best picture was a major upset. The mix-up of the winner may have been been unfortunate, but the win validated not only film director Barry Jenkins and playwright Tarell Alvin McCraney, but little black boys across America who felt their stories had finally been told. 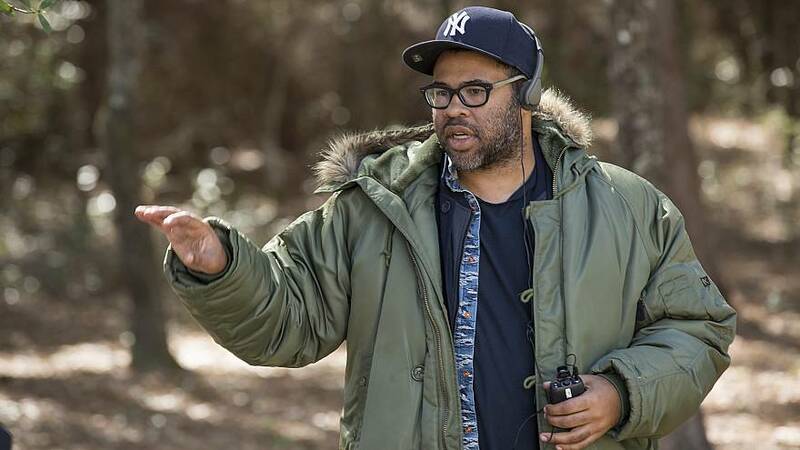 Jordan Peele never thought his movie "Get Out" could or would get made. Tracy Oliver, a writer for "Girls Trip" never expected the movie to be the success that it was. This year, two movies written, directed by and featuring black artists and perspectives made box office history. In February, Peele made his directorial debut with "Get Out," a movie about a black man who goes to meet and visit his white girlfriend's family only to find himself in a compromised situation. The movie grossed over $175 million at the U.S. box office, making it the highest domestically grossing film of a black director to date. "Girls Trip"grossed over $115 million at the box office, and proved that an all-black cast could make box office gold. Actor Donald Glover and actress Lena Waithe) made history when they walked away with Emmy Awards this year, proving that black stories resonate with television audiences. Glover, writer and director of FX's "Atlanta," became the first ever African-American to win outstanding director for a comedy series. Waithe, a writer for the Netflix's "Master of None," became the first African-American woman to win for comedy writing. Justin Fairfax, Keisha Lance Bottoms, Mary Parham-Copelan, LaToya Cantrell and many others made history this past election season. Bottoms beat the odds, winning her campaign to become the next Mayor of Atlanta, making her the second woman and second African-American woman to hold the office. LaToya Cantrell made history in New Orleans as the first African-American female mayor. But these women were not the only ones to place their political clout on display this year. Black women were also lauded as the heroes for the Alabama Senate race, mobilizing communities and going to the polls in unprecedented numbers. The efforts and accomplishments of Maame Biney, 2016 NBCBLK 28 honoree Sloane Stephens, and others not only put black excellence on display, but also resulted in life changing rewards for the both of them. Stephens joined an exclusive club of African-American women to win the U.S. Open, which includes Althea Gibson, and Venus and Serena Williams. While tennis fans were shocked that Stephens would beat out Venus to reach the U.S. Open finale, Stephens was shocked for another reason - the $3.7 million check she received for winning the tournament. Seventeen-year-old Biney, a native of Ghana, became the first black woman to qualify for a U.S. Olympic speedskating team in November. Black royalty — "We gon have a black princess." When Meghan Markle and Prince Harry announced their engagement in November, African-Americans celebrated the announcement. In an instance, Markle, born in Los Angeles, became the black community's princess, almost in the same manner that Princess Diana became the world's princess. Markle, 36, has written about her bi-racial heritage, declaring her confidence in the fact and finding strength as the daughter of a black mother and a white father. Former San Francisco 49ers quarterback Colin Kaepernick may have been missing from the field this NFL season, but his presence was definitely felt, as NFL players across the league kept his protest against police brutality alive. President Donald Trump criticized NFL players who kneel during the national anthem and said owners should fire any player who participates in the protest. This triggered players across the league to collectively kneel, lock arms and even stay in the locker room during the anthem. Elected officials in Maryland, Texas, Louisiana, and others called for the removal of confederate memorials following white nationalist rallies in Charlottesville, Virginia in August. While some of those leaders were successful, efforts in Memphis, Tennessee seemed impossible. Earlier this month, a group of African-Americans in the city orchestrated the removal of Confederate monuments from two public parks. Rosalind Brewer was named the new chief operating officer and group president of Starbucks, the first African-American and woman to hold the position. Priscillah Mabelane became the chief executive office of BP's South Africa division - marking a first for that country's oil industry. Prior to the CEO appointment, Mabelane had served as operations director for BP United Kingdom retail business. Derek Jeter, former New York Yankees star turned executive, became a part owner of the Miami Marlins and their chief executive officer - making him first ever black CEO of a the Major League Baseball team. And he quickly made an impression when he said he was fine with his players kneeling during the national anthem.